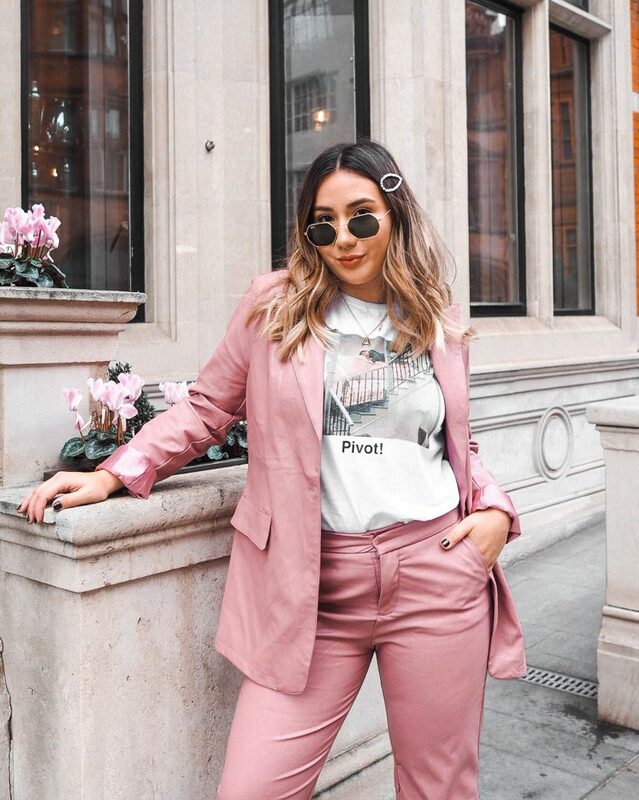 Whether you’re a classic hair gal or an chick who loves to experiment, nailing the classic effortless curl look is a must have on everyone’s list, and when it’s this easy, you’ll wonder why you haven’t been doing it for longer. As you lot probably know, I have alopecia at the base of my head… so the hair that I do have is pretty important to someone like me. Even though I wear my hair naturally at least 50% of the time, if I am styling it, I really make an effort to create something special with my locks. 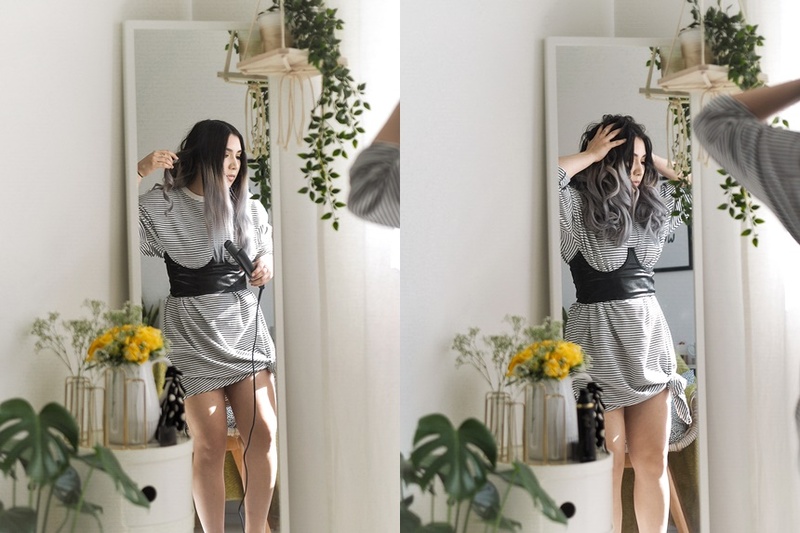 Not only that, but it’s so important that I style my long locks with the right tools to ensure that no breakage occurs to my bleached and coloured hair, and damage is minimised as much as possible. 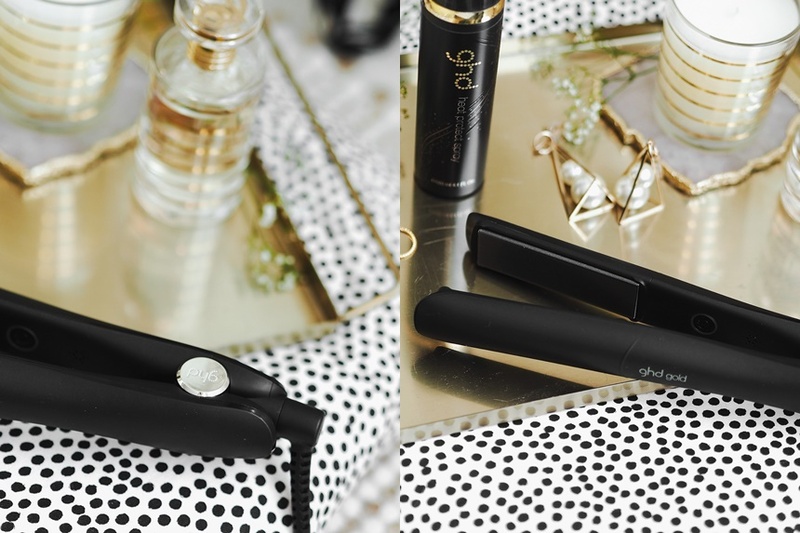 Believe it or not, but prior to this week, I had never tried a ghd styler before. 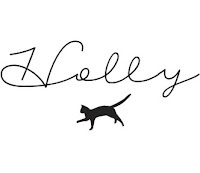 Yup, I can here you now: Hol, that’s ridiculous. Uh-huh, I’m a 24 y/o gal who grew up in the ghd era and every single one of my friends (and basically all the girls at school) had straightened hair, the majority with a ghd styler that they begged their parents to buy for them. 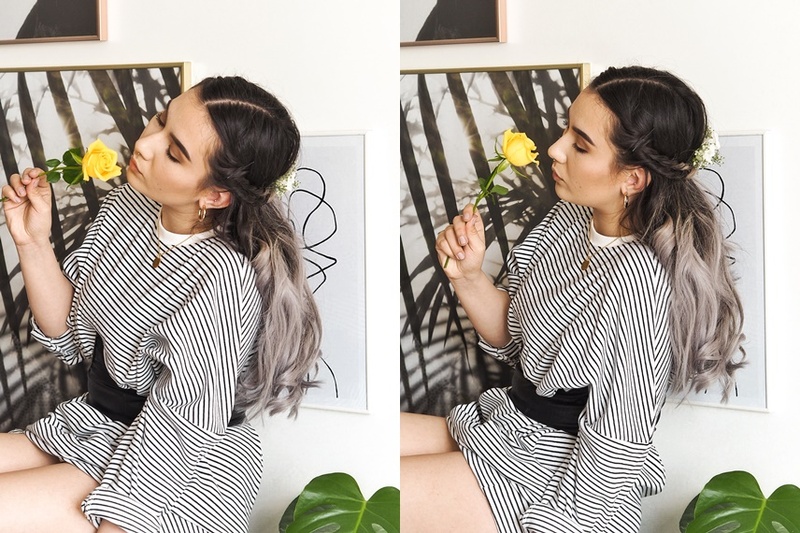 I did the same sort of “pleeeeease mum” and wasn’t so fortunate, so you can imagine how gosh darn excited I was when the lovely team over at ghd sent me over their ghd Gold Series Styler* to create a brand new Spring-inspired hair style. 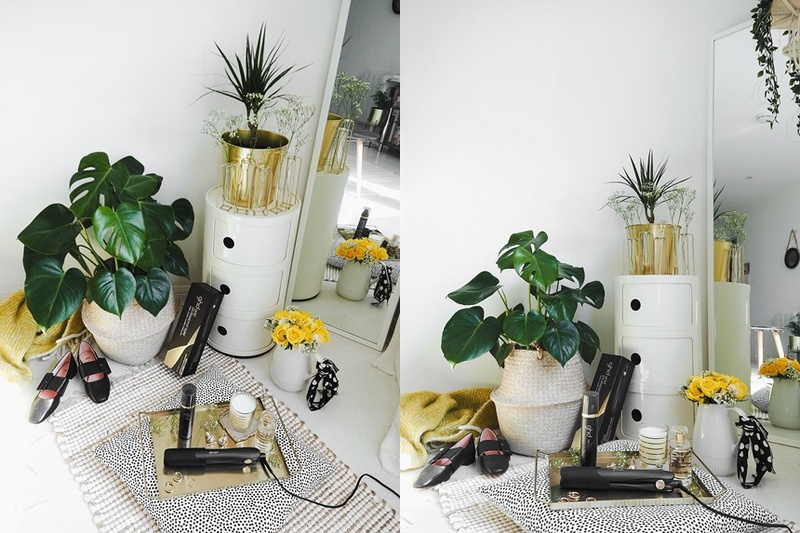 The ghd Gold Series Styler* looks beaaaautiful and I did happen to take the lid off of the box and stare at the *finally mine* ghds that lay before me. The classic black look is very me, and the silver & gold hardware are definitely the more mature, sleek look for everyday use. I didn’t know that ghd stylers come with a heat shield, which is like this little sleeve that you pop on the end as heat protection, which I thought was a really nice touch. 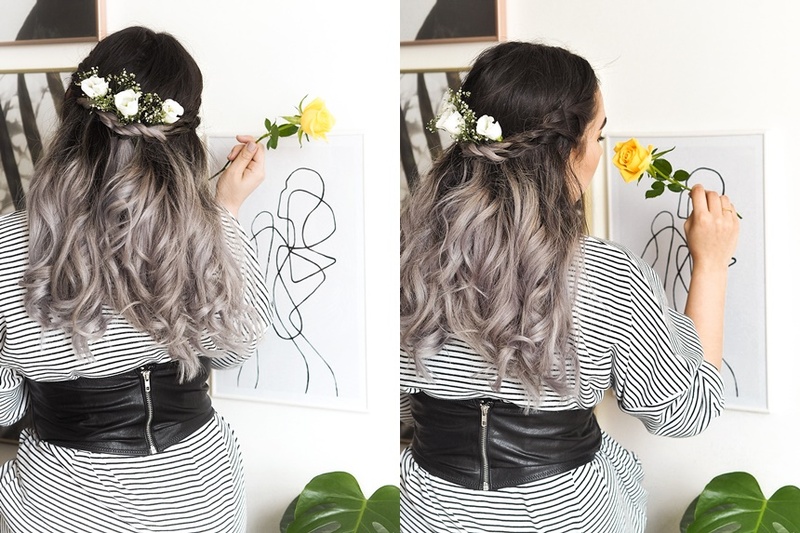 Why did I go for floral, floaty curls instead of the classic ghd sleek look? I thought it would be a fab way to finally step out of my comfort zone of a simple scrunch n’ dry style that I’ve been rocking solidly for the last few weeks. This look is super easy to do, and required little to no skill – Just a little creativity and patience is all! 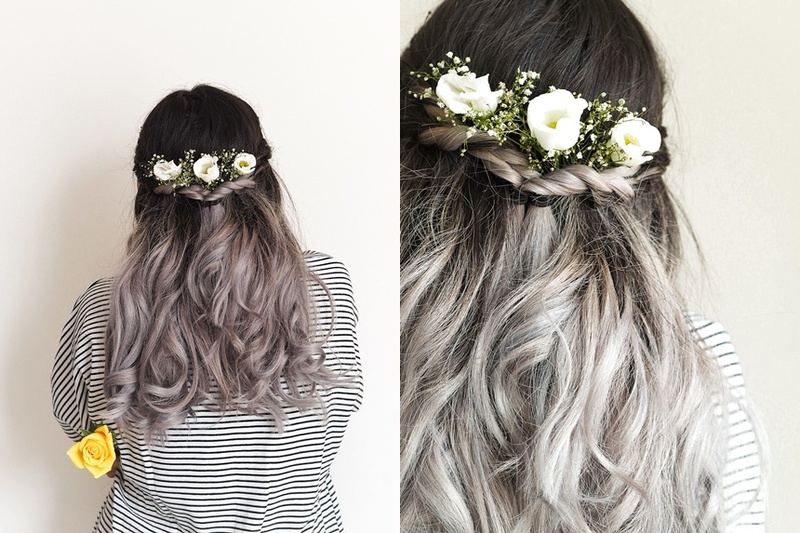 Step 1: Brush your clean, dry locks. This one is so important as you really don’t want to heat style knocks and snags in your hair which can lead to damage and further breaking. 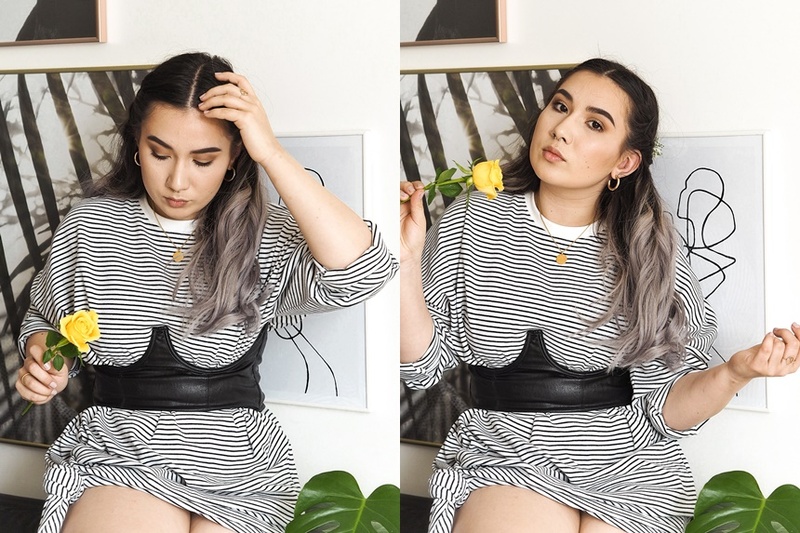 Give you hair a reaaaaally good brush and make sure to start at the ends/bottom of the hair and slowly work up in short strokes to minimise breakage. Step 2: Spritz on a heat protect spray. Quite importantly, should I add, as this prevents your hair from frying under the heat of the styler. 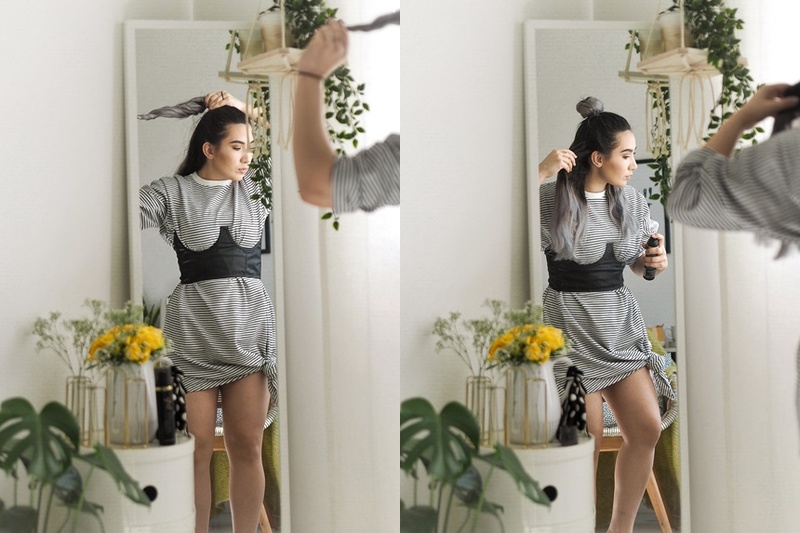 Here, I’m using the ghd Heat Protect Spray* which creates an invisible heat barrier (on dry or wet hair, however you like to prep) and acts like a hair primer before styling. I really like the way that this one helped to smooth my frizz, as my hair is thick and doesn’t respond well to humidity (it frizzes every time I heat style my hair). Also – it doesn’t feel like there’s any product in my hair, which I’m a big fan of! 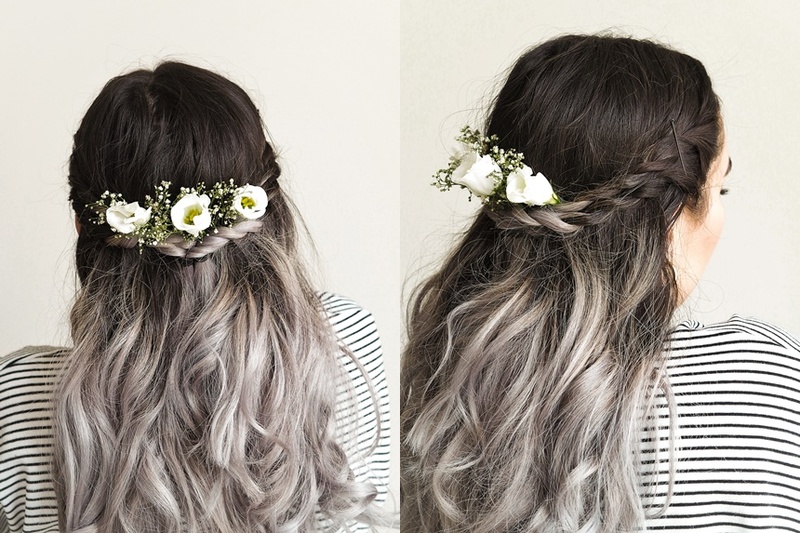 Step 3: Section your hair as you please. I have long, thick hair so I always separate it into two sections first, top and bottom, and then into quarters by splitting my hairline down the middle. 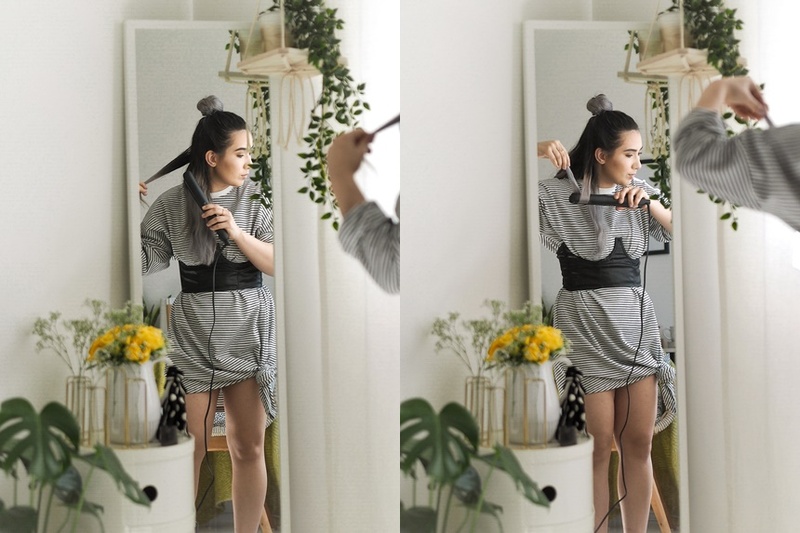 If you have short hair or long thin hair, you might not even have to do this! I think that it really does help you guess-timate how much time you need to spend on your hair and styling each section though! 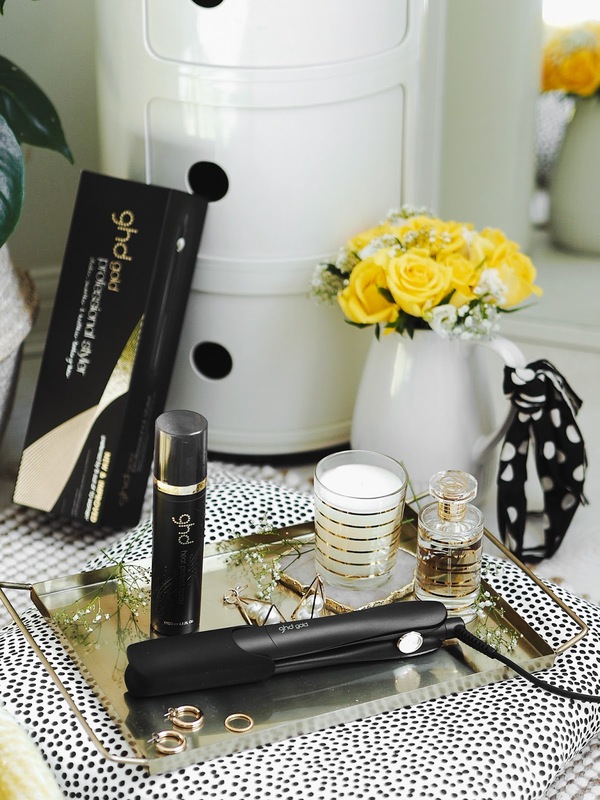 Step 4: Start to loosely curl your hair with your styler, I’m using the ghd Gold Styler* which is the styler for you if you’re looking for an everyday styler which gives your a sleeker, smoother look and heats up to 185 degrees within… 25 seconds. Yup, you heard me right. 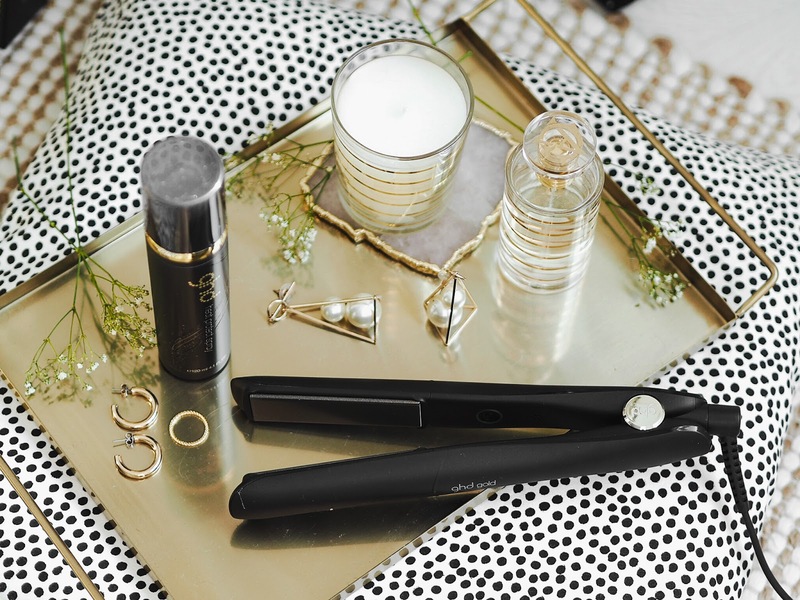 If you’re not sure how to curl with a straightener, simply slide the styler on as if you were straightening, then flip the styler upside down with the hair still clasped inside. Now simply smooth down the hair, being careful to guide the end into the styler as it goes, and ta-dah! I flip left or right alternatively to give a more “messy” effortless looking wave which suits my look down to a tee. 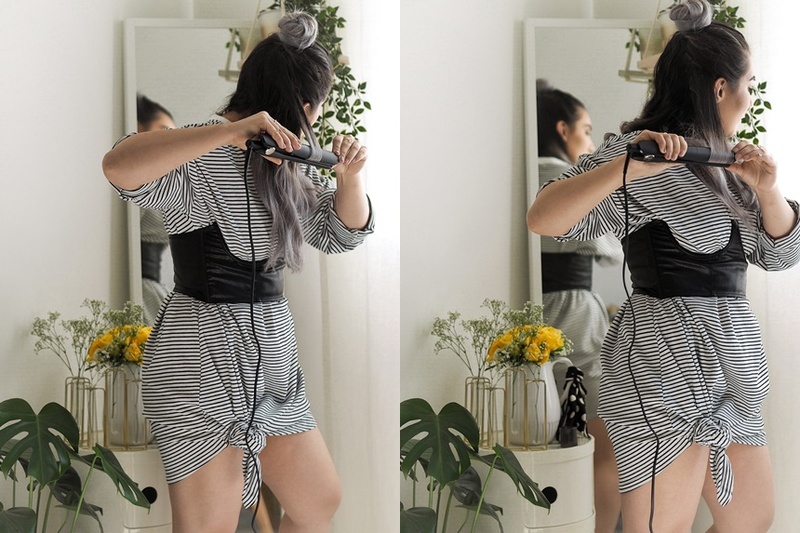 Also, you can change up how long you hold the styler onto the hair as you style it: longer for tighter curls, shorter for more loose, tousled curls. When you’re done with one section take your fingers and run them through your hair, separating the curls for that effortless, messy vibe. Step 5: Once you’ve finished one section, more onto the next. 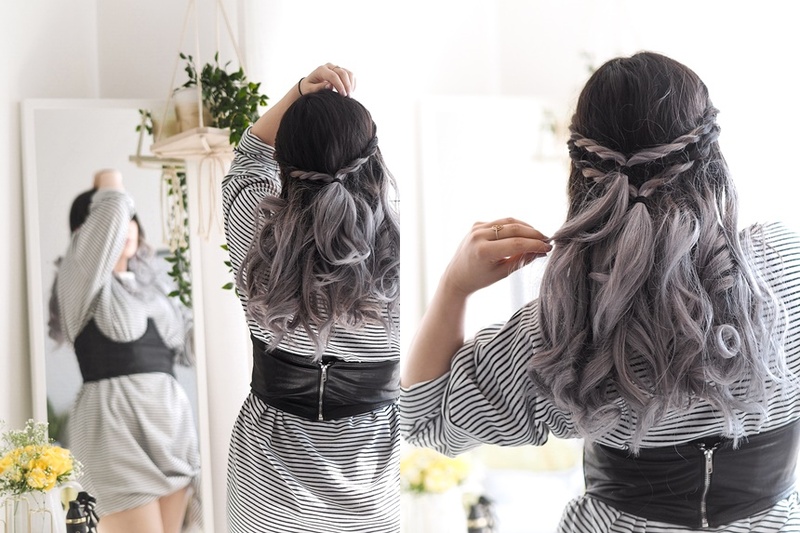 I like to separate my sections with hairbands and big hair clips to make sure I don’t miss anything or even risk double-styling which can cause damage to the hair! Simply repeat Step 4 until you’ve got a big bouncy curly head of hair, and you’re good to go. Step 6: Middle part your hair and section four inch-thick pieces of hair (two at either side) of the front of your head for twisting. Separate each section into two and twist them around each other to the very end of the hair and hold temporarily which clips. Once you have all four twists done, join each pair together at the back so they wrap around your head and tie with a hairband, scrunchy, whatever takes your fancy! You now have a cute lil double decker set of hair twists! 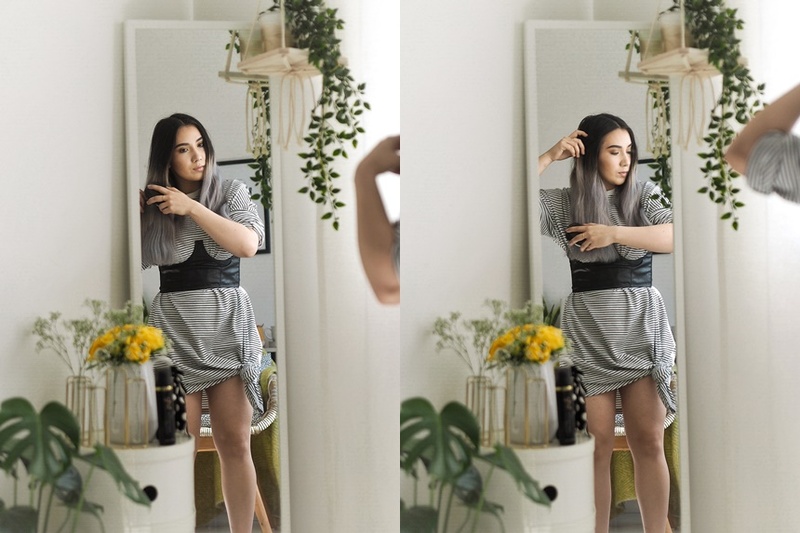 How are you switching up your heat styling for SS18? Previous Post Too Faced Peach Kiss Lipsticks – Worth The Splurge?